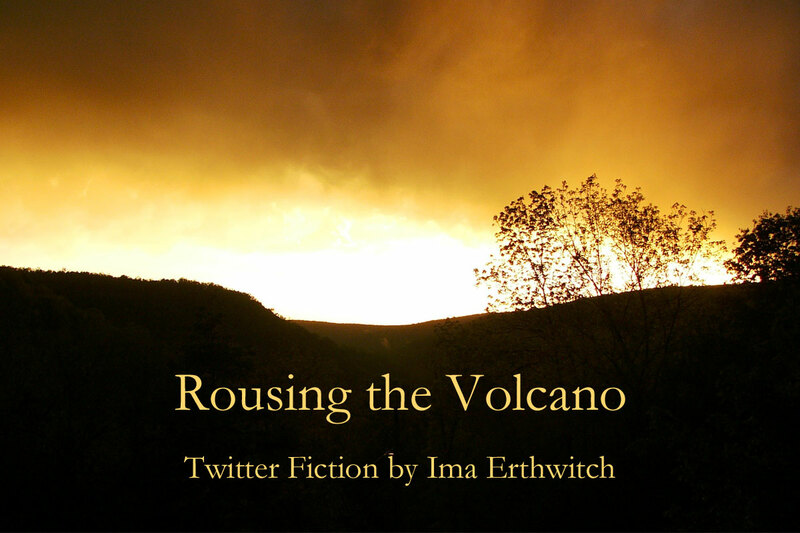 Rousing the Volcano is a Twitter fiction story by @erthwitch in response to the #vss365 prompt on Twitter by @flashdogs. To find out more about what these hashtag things mean, read my post about Twitter fiction. Why stroke the flames when she could rouse the volcano instead? She’d leave more in her wake than a #trinket for remembrance. With each step she whispered her mantra. Walking the #spiral path to the volcano’s lip gave ample time to work a powerful spell. Some questioned the color of her soul, calling it black. But no. Always #indigo staring back when she consulted the mirror. Her indigo eyes sparkled. “#Pssst. The volcano is awake now,” she said to the fisherman as she pushed the outrigger to sea. As the fire in the sky over the island faded to darkness, her own hell arrived. Her #achluophobia stirred. A long night loomed. The dichotomy between resilience and #frailty never ceased to amaze her. Now was a frail, fetal curled moment. Waiting for dawn. “Your spirit guide is #Salamander,” the old shaman said. “Firewalker.” He pushed me toward the flames. “Go,” he said. And I went. If she had her own #golem, maybe people would hate her less. But life and creation weren’t her fortes. Death and destruction were. Dawn broke over the #platinum spires of her island home and she sighed as the outrigger scraped sand. Another mission well-executed.